A historical journey revisiting the majesty of great empires and the peoples of ages past. Includes a day of pilgrimage to the poignant Gallipoli battlefields. A guided tour of the UNESCO World Heritage listed old city of Istanbul. Visit the Blue Mosque, named for its Iznik ceramic tiles, Byzantine Hippodrome, once the pulsing heart of city life, Hagia Sophia museum, place of worship for 900 years, and the startlingly opulent Topkapi Palace. View the city on two continents from a new perspective on a delightful half day Bosphorus Cruise enjoying the lunch provided. Visit the bustling Spice Bazaar with its vibrant colours, spruiking stall holders and heady fragrance. A relaxing free day in Istanbul before transferring to the airport for your flight to Cappadocia. You will be met at Kayseri Airport and transferred to your hotel. Spend this evening at leisure. Take in all this beauty as if you were a bird. Uchisar Castle is the highest point in the area. When you walk to the top there is a panoramic view over all the valleys, including white valley. 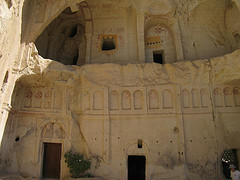 Setting out from Cappadocia with your private driver, today heralds an interesting road journey. On the way to Kahta, you will pass Tekir plateau, flanked by Mount Erciyes, the Silk Road Karatay Caravansaray and perhaps enjoy Turkey’s best ice cream at Kahraman Maras. A caravansaray is a roadside inn where travellers can rest and recover from the day's journey. 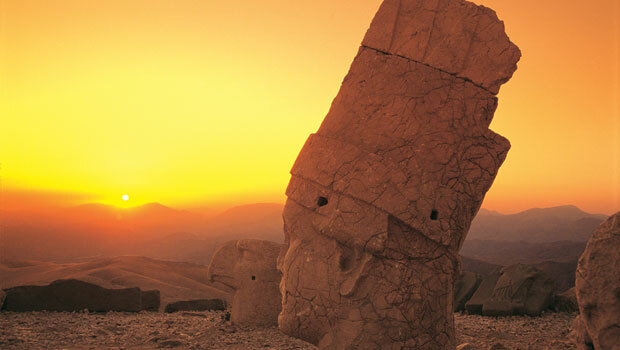 Arrive at Mount Nemrut before the dawn and make your ascent to watch a magical sunrise over the plateau. Wander amongst the magnificent carved rock statues before returning to Kahta for a tour the ancient city. After breakfast the tour continues to Gaziantep (the birthplace of baklava) and its Archaeological Museum where the most superb Roman mosaics are displayed including the famed ‘Gypsy Girl of Zeugma’. Proceed to airport for onward flight to Antalya via Istanbul (direct flights are available in specific days) and transfer to hotel. 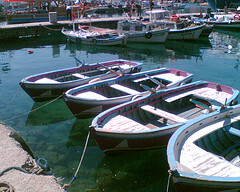 Afternoon at leisure in Antalya. 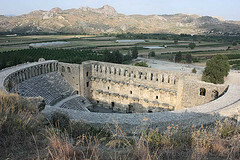 Aspendos amphitheatre is an incredible sight. 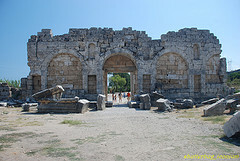 The ruins here are very well preserved and still host major arts events. At some entry points rides are sold atop gaily outfitted camels. A free day to make own arrangements for bus travel to Kas. The bus takes about 3 hours along the coast and afternoon at leisure at the picturesque and peaceful fishing village of Kas. 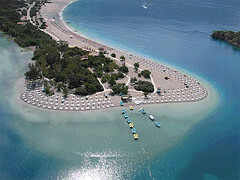 A free day to discover one on the most best kept secrets of the Turquoise Coast. 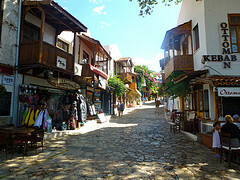 Depart for a short bus ride to Pamukkale. The overnight stay will be at thermal hotel where you can enjoy the pool and massages. Pamukkale means ‘Cotton Castle’ in English and is named for its distinctive white mineral pools. Today we will pay a visit to the Cotton Castle at Pamukkale and the nearby Roman thermal resort of Heirapolis with its magnificently preserved necropolis, intact streets and the thermal mineral baths. A Greco Roman theatre and the Basilica of St Philippe are highlights before continuing to the port of Kusadasi, a resort town since antiquity. 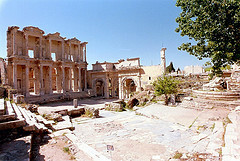 Absorb yourself in history today on a guided tour of Ephesus. Visit the site of the Temple of Artemis and soak up the mystical atmosphere of the ancient city and its theatre. 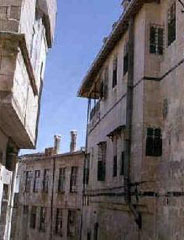 Later continue to the House of the Virgin Mary, where the mother of Jesus is believed to have spent her final days. Depart early on a 2 day/1 night escorted tour, we explore Pergamon (featuring the dramatic “Akropol” theater), Troy (the setting of the Trojan War from the 13th Century B.C.) and Canakkale (the setting for the pivotal Gallipoli Campaign of WW1, where the Anzac forces repelled the British and French onslaught, securing freedom for what is today Modern Turkey). This morning, cross the Dardanelles for today’s tour of Gallipoli and the Kabatepe Museum. Included are Lone Pine and Chunuk Bair memorials, Anzac Cove and The Nek. Afternoon departure for the return to Istanbul. As this concludes the Troy & Gallipoli Tour, you will be conveyed to your hotel for overnight. Free day at leisure to revisit the magical city of Istanbul and its outstanding Ottoman architecture.